My name is Drolma and I come from Qinghai Province. I’m nineteen this year and now a vocational school student majoring in pharmacy with another 10 girls from the Captivating Vocational Scholarship School Program. I have been out of school for four years, so I both excited about this chance but also nervous whether I am good enough to keep up after such a long break. Drugmo is filled with confidence and bright smiles as she remembers where she has come from and what now lies ahead of her. We all know that true beauty is what lies below the surface of us all. But, lets face it, some people appear doubly blessed - both inside and out. 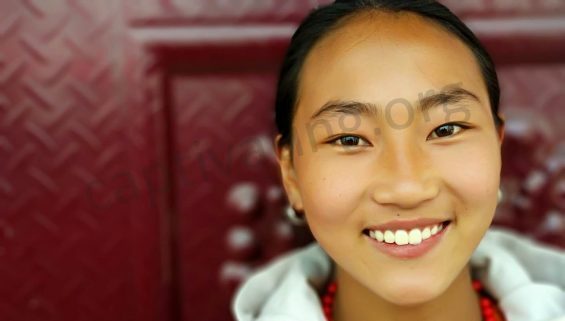 Last week, our program manager (Carrie) and I had the pleasure of meeting this girl, along with multiple others from various locations of our Asia based Vocational School Scholarship program.